Finally: An Unbreakable Beer Glass! 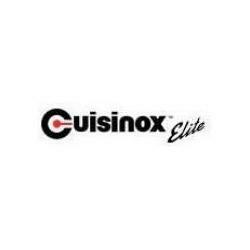 This eye-popping Stainless Steel Beer Stein from Cuisinox is perfect for the patio or pool area. It's unbreakable so there is no need to worry about glass if you drop it. 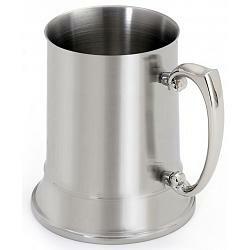 The beer stein is double walled so it will keep your beers (or other beverages) cold for a long, long time. Put the beer mug into your freezer to extend the cooling effect even more! 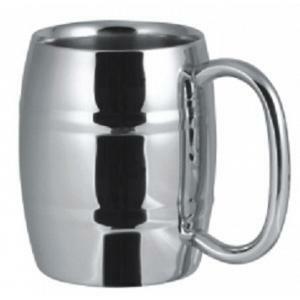 The stainless steel beer stein features a stunning satin finish that leaves no finger prints. 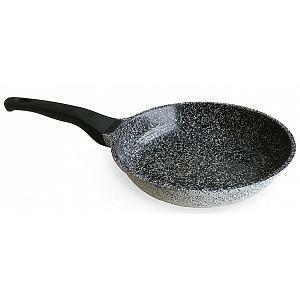 It has a 18/10 durable stainless steel construction and a generous capacity of 520ml / 17.5oz. 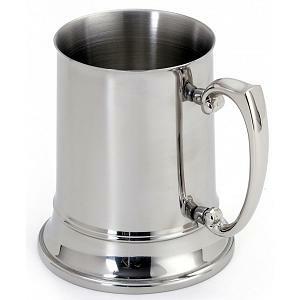 The beer mug is dishwasher safe for easy cleanup.